New Year’s, Awards Night… This card is your pick. The bubbles could be champagne, or they could be from fairy lights… Or whatever you like! 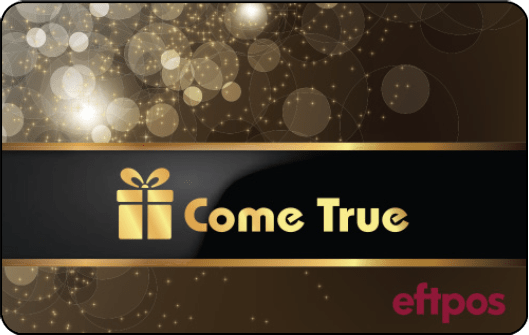 This pre-designed eftpos gift card is an easy and effective way to say thank you or congratulations. Our cards are an exceptional tool to say both of those things — whoever your winner is, they’re sure to appreciate it! Unlike a bottle of champagne, they cater for all tastes! The funds on the cards can be spent wherever eftpos is accepted so they could buy anything from a bottle of champagne to a plane ticket to Champagne (depending on how much you choose to load the card). And that’s the magic of eftpos gift cards!